re halyards, I think I`ll go for the "top of splinter shield" option as the pics ( film clips) at least do show that. Quite HOW to show those tiny things at 1350 is another matter!! Just shows how the simplest things on this ship can cause the biggest headaches! BUT a long way to go `til then so I`m not worrying as yet. Is there a canned spray lacquer or enamel that matches or is close to matching Hood’s color during the 1920s. Can anyone point me to an illustration of where the underwater torpedo tubes hood carried between 1921-1937 are? 2. What does the 2 above water tubes o each side look like with the armored doors open? Is there any drawings showing the extent to which the boat deck was covered with teak planking when Hood was first commissioned in 1920? 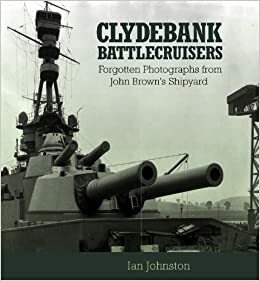 Hi Chuck, if you can get hold of the book "The battlecruiser Hood" by John Roberts part of the Anatomy of the ship series I know it has plans drawn in it of Hood as completed which may help you. Hood went through a few shelter deck configurations and if I remember correctly they are shown in that book. Hope this helps a bit but Hood Association is a good site for images etc. I have that book. I am trying to back date Trumpeter’s 1/200 Hood to 1920 comfiguration. The anatomy of the ship series doesn’t have overhead plans for the ship for 1920. Also, the drawings for 1920 comfiguration is sparse and doesn’t give a clear 3D view to relate the parts to eachother. Hi Chuck, I think the first plans in that book are of her in 1920? If you look at the first profile drawing it does say it's dated 1920 so I imagine that the shelter deck plan A3/1 on page 41 is of her 1920 fittings. They are drawn from her builders plans from the National Maritime Museum in Greenwich. As for 3d images I think you may struggle but there are some images of Hood as built and fitting out on the Hood Association website and another good site is Scotland's People which if I remember correctly has as built images of Hood as well as Barham, which might help? Re. flag staff and ensign staff - i assume in 1941 they were painted hull colour. Or were they left varnished timber?. Am about to paint, but wish to be correct. Could not find this subject in the Hood Website. Nearly impossible to tell from photographs, but the color footage of Hood seems to suggest unpainted? Does anyone have or know of any illustration or photos of the external aperture of British underwater torpedo tube around this era? Is the aperture circular or oval? It there an extensible bracing rod that supports the torpedo as it exits the tube? Is it on the forward or backside of the tube aperture? Thanks EJ. As you say, not very conclusive. Still none the wiser. Artistic license perhaps. flags - but there is no image as to the actual mechanism !!. Back to the drawing board i guess. Does Hood's armored conning tower have any access doors that can be seen from open air? I am building up the forward superstructure in 1920 cinfiguration, modifying Trumpeter's forward incorrect 1941 forward superstructure by removing the torpedo lookout shelter and 50cal machine gun platforms, as well as the enlarged signal processing office right behind the conning tower that I believe was added in 1929-1930 timeframe. So I need to reconstruct portions of the conning tower wall. I noticed neither trumpeter's depiction, nor any photos or drawings I've seen, shows any exterior doors for the armored conning towers in the top 3 levels. Some after market photoetch kits provides a door at the rear of the conning tower where the bridge deck narrows to form a sort of bridge to the rear of the conning tower. But I've seen no confirmation there is actually a door there. So how are the armored levels of Hood's conning tower accessed? Is it purely through ladders from below? Or are there indeed armored doors open to the outside in the top three levels? If there is confirmed to be exterior doors but no good photos, then I would like to scratch build a door that is at least consistent with typical british design for door hinges or any mechanical aids for moving so massive a door. Is there any photo of armored conning tower doors for any british battleships? However, nothing to see here (not even a rain guard). May have been edited out to add pop-eye... or, (more likely) perfectly blocked optically by the officers. Also, do you have this book? When you are making a 1920s Hood you definitely need it; superb images of Hood during her build and fitting out. Thank you! I just got the book. The open doorway behind the armored conning tower is unexpected. This would appear to negate the value of giving personnel inside 800 tons of armor protection by allowing fragments and blasts from nearby hits to enter the tower. it should open outwards for both better protection/seal & not use up valuable deck/bulkhead space. When was the photo taken? Any chance the door may just not have been installed yet?